Last summer was not too bad, humidity wise, as I recall. I certainly remember summers that were much more uncomfortable. Last year literally set the record for dew points. You sure you weren’t in Alaska last summer? Because it was god awful here. I think we are headed for a very warm and humid summer with high dews and plenty of rain chances IMO. I don't think temps will be excessively hot though. Next 8 days averaging 57degs., or 5degs. AN. Month to date is +1.5[51.0]. Should be about +3.3[53.6] by the 19th. Last 20 days just 0.60" precip here...prior 15 months had been very wet. Won't be surprised if we still wind up with normal rainfall for April though. Science is objective, guys. Next convo. Cold morning in Mount Kisco this morning. 38 degrees outside my house. Kinda refreshing headed to the city a bit warmer but much cooler than yesterday. Looking forward to some rainy nights. 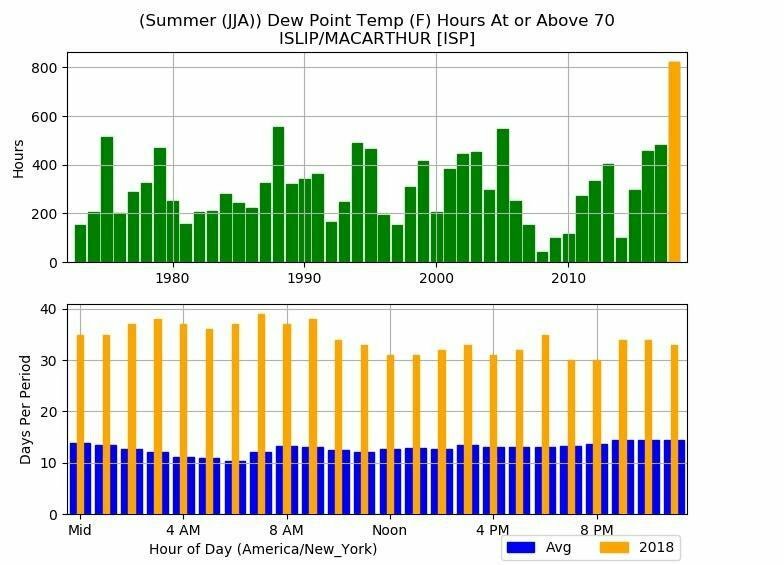 The magnitude of the 75 degree dew point days record at JFK in 2018 exceed Newark’s 90 degree day record in 2010. Last 30 days top 10 driest for places like ISP and FRG. Noticed my local pond water levels way down. Humidity was bad, but temps have been worse. There were many overcast days in the 80s with dews super high so it felt like a steam room. My god can you stop complaining. I think you complained less at CVS. Those dreaded east winds keeping things chilly today, only 46F right now. I also wish I had your schedule. At least the Saturday warm up will make it into New England this time. Mt.Holly and Upton ref Friday/Saturday & Sunday/Monday. inversion may tend to hold low clouds in longer farther north. afternoon across the western areas, then decrease eastward. northern zones and mid 70s south. where the boundary layer is warmer. Quebec Friday night dragging a cold front eastward into eastern PA.
eastward into the CWA through Friday evening and continue overnight. Aformentioned front gets hung up over the area Saturday. developing in the afternoon, mainly S/E of the I-95 corridor. Sunday as daytime heating is maximized. of thunder to the forecast for the first half of the night. 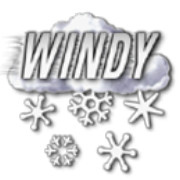 increase tomorrow afternoon with gusts up to 25 mph. models. This make for a challenging temp forecast for Saturday. and mid deck to remain. moisture plume ahead of the approaching frontal system. Looks like the models (NAM/GFS) have been trending a bit wetter for today (Friday) into Saturday. 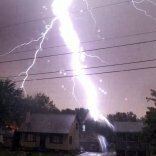 Mt.Holly also was concerned for heavy rain especially Friday night into Saturday morning with thunderstorms also possible. Looks like more heavy rain/storms will be possible later Sunday, Sunday night and into the first half of Monday. Found his thoughts for May interesting. Was just looking at that on the models. We might get some thunderstorms around 11pm tomorrow. Training cells are also possible leading to flash flooding. Sounded like a pretty generic and broad forecast to me. "May should be nice if we don't get any BDCF and cut-off lows"
Isn't that how it is every May?